North American Prospect Expos smart cards (NAPE), which runs business conferences for the oil and gas industry, has embedded a UHF RFID tag to each badge cover to identify traffic levels on conferences floors, as well as monitor attendees at sessions and other events during the programs. NAPE is using the technology to track traffic onto the exhibition floor, as well as to monitor attendees during other activities, such as an introductory party held the evening prior to the show. 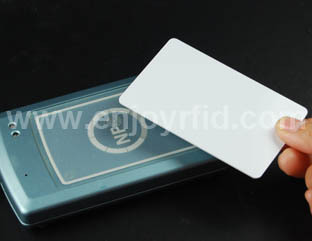 With the RFID data, organizers can determine how many attend the evening event, how many come to the show floor and when this occurs. In this way, the company can better identify which activities are successful and which are less popular, as well as when the number of attendees may require increased or decreased staffing.